Washington, D.C. officers arrested one of two women caught on camera twerking on a customer in a convenience store. Police opened a third-degree sexual abuse case. 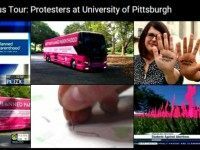 Young pro-life activists on a five-campus bus tour that promotes the defunding of Planned Parenthood had their banners “twerked” by abortion advocates at the University of Pittsburgh. 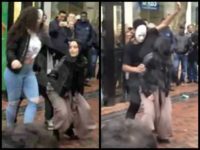 Three Russian women will serve time in jail for “hooliganism,” after a music video showed them twerking in front of a World War II memorial. Ever wanted to learn how to properly “twerk” your backside? Well, now there’s an app for that.